“This is great news for Sussex’s badgers and cattle. Bovine tuberculosis is a huge problem for farmers and this is such a positive way forward in the fight against it. After doing some initial survey work earlier this year and working out the key target areas, we have been undertaking the pre-baiting by placing peanuts down, which helps us identify the best locations to trap and vaccinate on the land” explained Project director Kate Edmonds from the Sussex Badger Vaccination Project. Trevor Weeks MBE, from East Sussex Wildlife Rescue & Ambulance Service which is helping to support the SBVP, is also the lead Lay Vaccinator for the project. 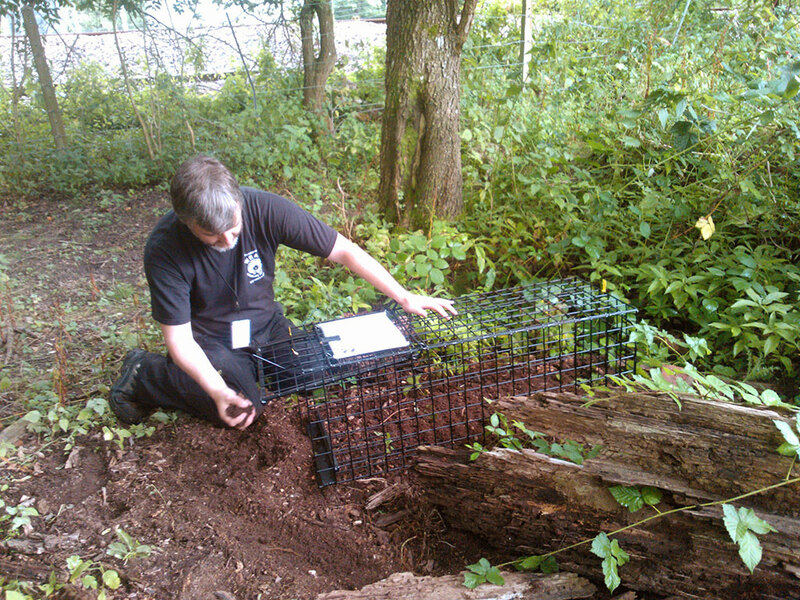 Depending on weather and other environmental factors SBVP will be looking at setting the traps and catching the badgers within the next 10 days at our first site. Trevor added: "The land we are working on is not very active, but used more as a foraging site, although there are a few small setts, which are active". “It is good news that we now have four sites in East Sussex where the landowners have asked us to vaccinate badgers and we really appreciate them for taking this initiative. Because of the sensitive nature of the badger, cattle and TB issue the Sussex Badger Vaccination Project are treating the locations in the strictest confidence and only showing photos, video footage, or disclosing the location details with the landowner’s express permission” said Kate. SBVP with funding from International Animal Rescue and the Southdowns Badger Group paid for the training of five Lay Vaccinators over the past 12 months and applied for and received its first licence from Natural England for cage trapping and badger vaccination this summer. 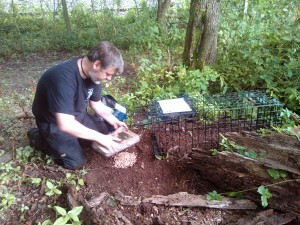 Sussex Badger Vaccination Project is manned by volunteers and as such is currently able to vaccinate badgers for around £25 per badger caught keeping the cost to the landowner as low as possible. SBVP is only able to do this thanks to fundraising and generous donations from the public. SBVP is currently seeking additional funding so the project can be expanded and a larger area covered over the next five years. They are also keen to hear from other cattle farmers who might be interested in having badgers on their land vaccinated from 2015. The location of the vaccination work will be announced once the first night of vaccination work has taken place. SBVP will be taking video footage of the vaccination work and making this available for media to use along with photos. Due to the limited numbers of people permitted to attend the vaccination work it will not be possible for the media to attend the actual vaccination work whilst taking place. 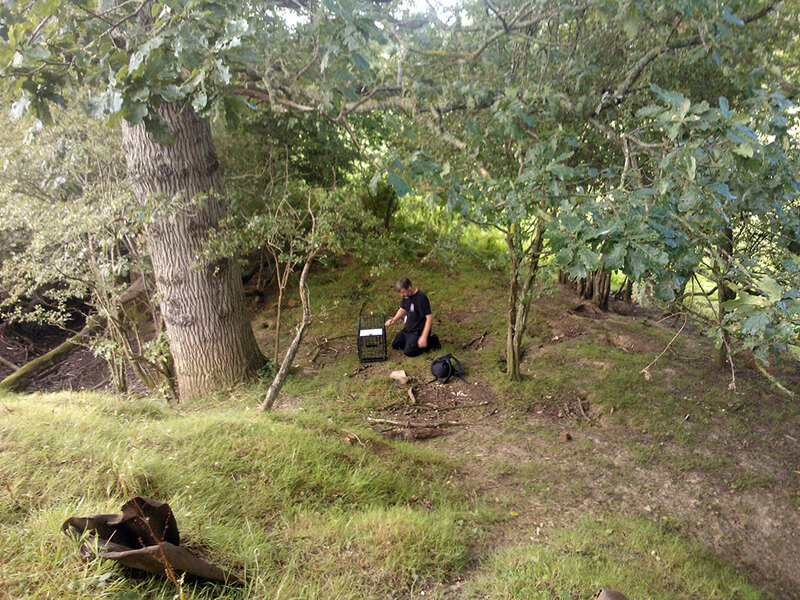 However, interviews and filming will be possible during the day time at trap locations at our first site only, as the landowner has given permission. Photos are from the trap placement and pre-baiting already taken place.